Introducing the newest heavyweight in our BB arsenal. 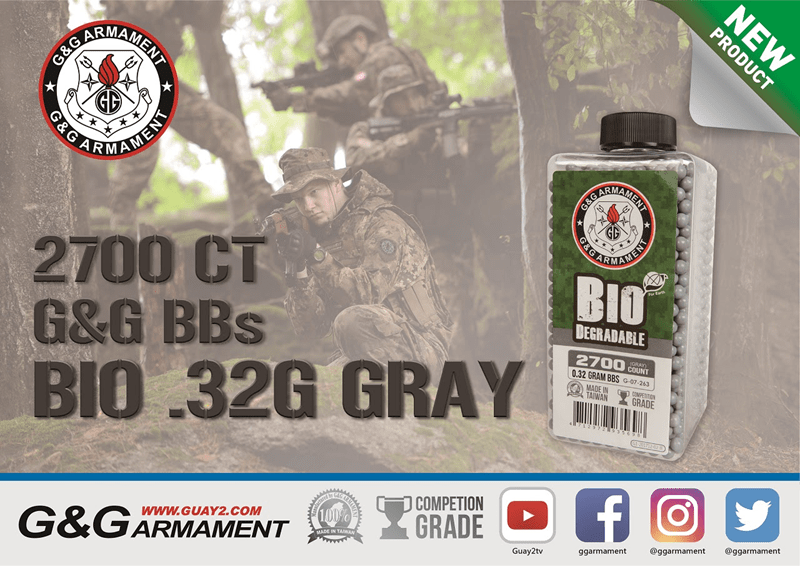 The .32g Bio-degradable BB comes in our easy to pour bottle for easy usage and provides the finest quality heavy weight BBs for snipers and support gunners alike in 2,700 round bottles at an affordable price. 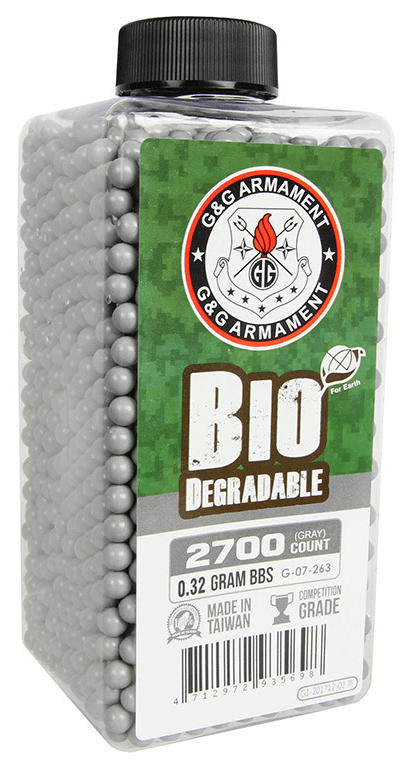 G&G Armament BBs are consistently manufactured to be 5.95±.01mm in diameter and are guaranteed to be jam-free, providing a perfect projectile to maximize the potential of your weapon system. Contact your local dealer for a pricing and availability on the new. 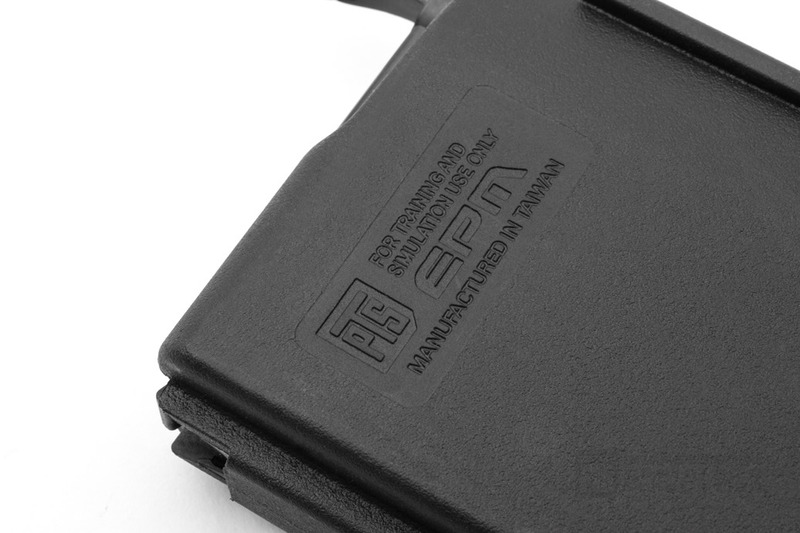 We are manufacturer from Hong Kong which specialising on Airsoft parts and accessories. 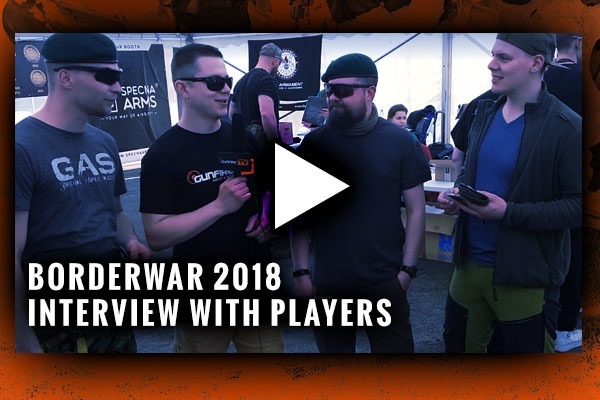 We endeavor to develop our brand as top tier brand in airsoft industry and our products obtains affirmation from airsoft players around the world. 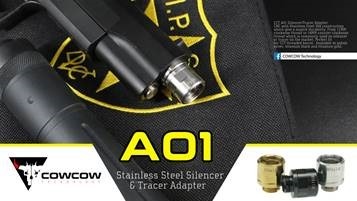 We put great effort to expand our brand continuously and constantly focusing on product quality and service to supply a reliable partner during the shooting activity. It is time to upgrade your pistol. Please LIKE and FOLLOW our Facebook Page and also visit our website to get the latest updates. We offer 10% off entire Gun Bags & Cases category at Military 1st with Discount Code GUNBAG18. 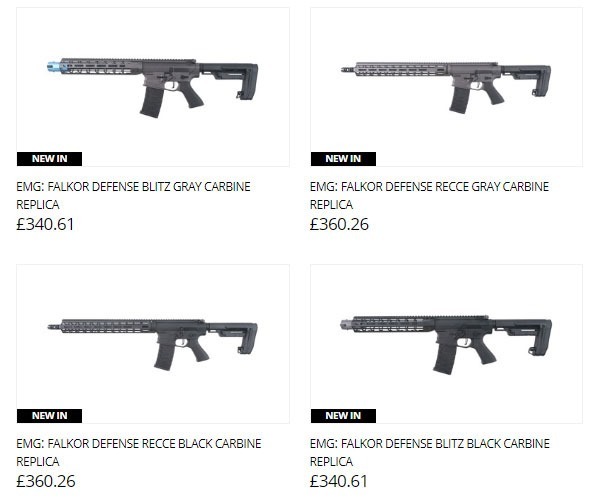 Visit our website today and save on range bags, gun cases, rifle sleeves, slips and more from such brands as Helikon, Pentagon, First Tactical, Propper to only mention a few. Hurry up: this special offer ends 25 April 2018, midnight. Applies only to Gun Bags & Cases category. Excludes sale items. 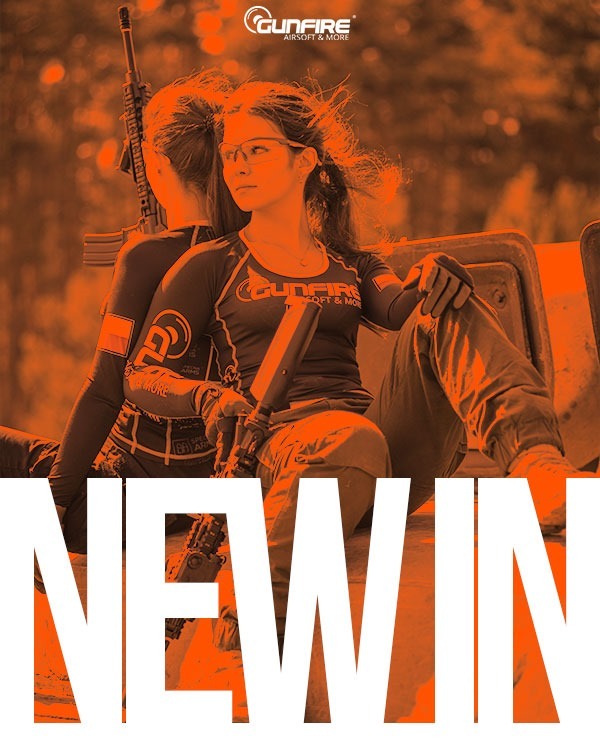 NEW Shot Show announced guns are starting to show up from G&G, Valken, and other companies. 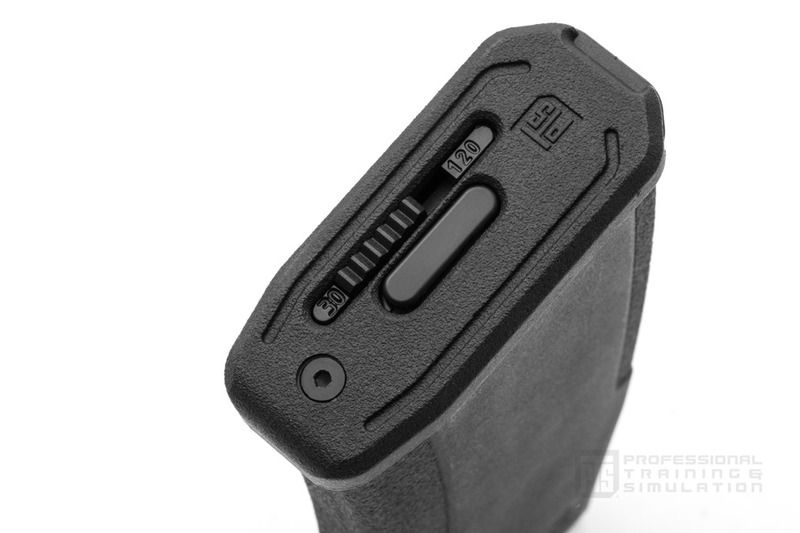 The official Glock 17 and 19 sold out very fast, with a new shipment inbound hopefully in a couple of weeks. 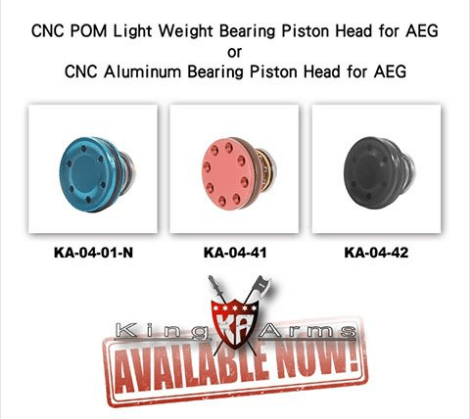 See our full listing of new products. 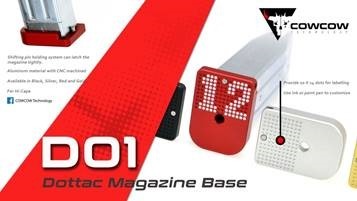 Action Army ZERO triggers for the VSR-10 are restocked, along with the rest of the product line. Lots more stuff arriving daily, so keep checking our website or new products page for all the news. 1. 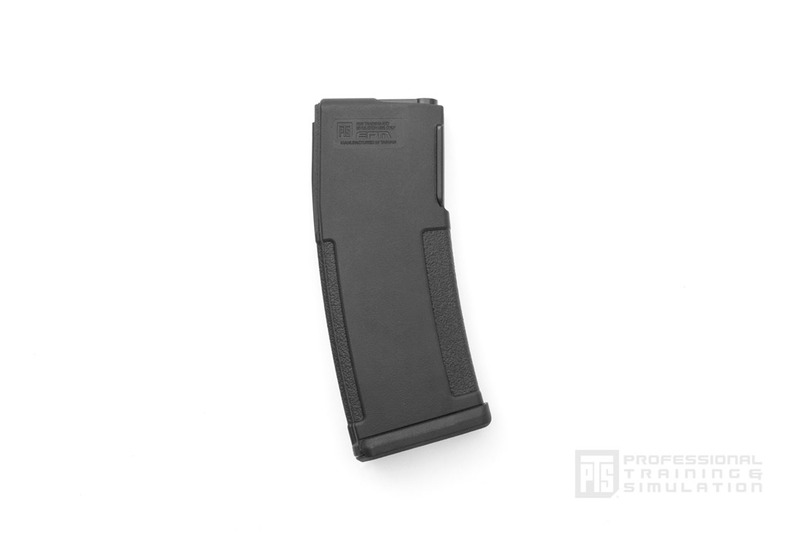 New G&G ARP9 ‘Black Orchid’ AEGs – $220 each, featuring a M-Lok/standard rail system, Mosfet, and unique colors for this gun. The Black Orchid is already sold out from G&G and we only have a few left. 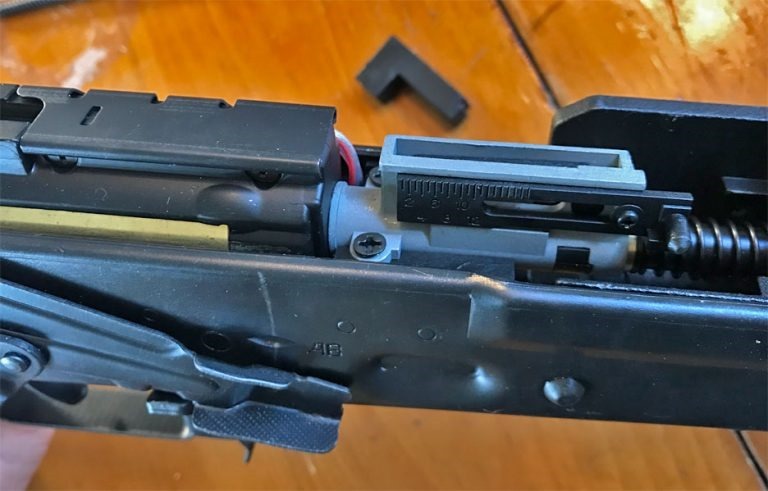 VERY LIMITED edition gun. 2. 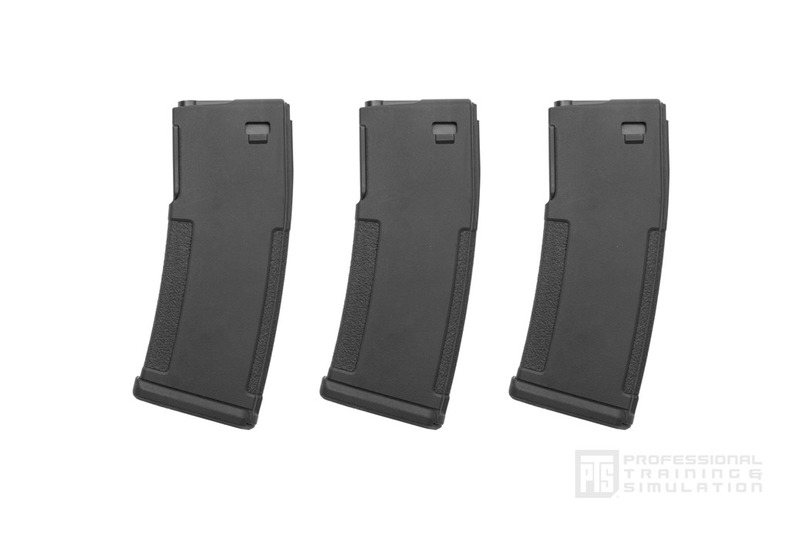 VALKEN ASL Series M4 AEGs – $159+. Updated for 2018, replacing the "combat machine" series with the all new and improved ASL M4. 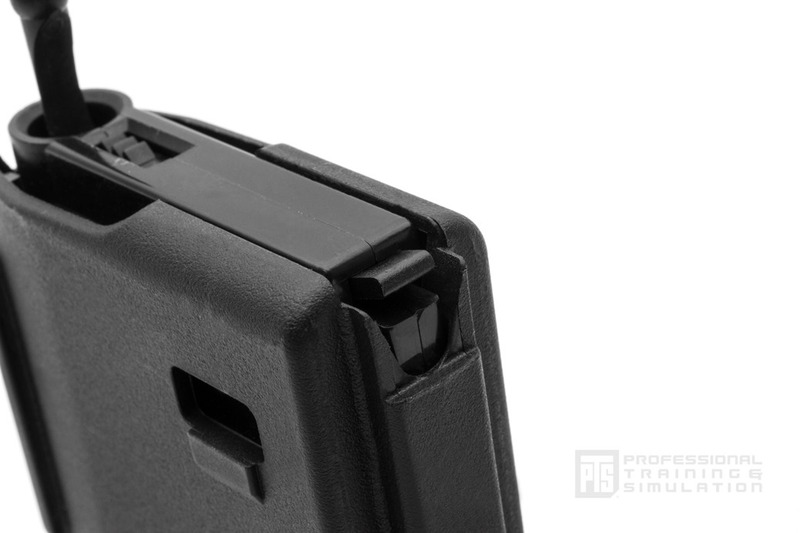 New billet style receivers, updated internals, but the same reliable function and solid shooters. We use these are our indestructible rental fleet on These are legit nice and highly recommended. 3. 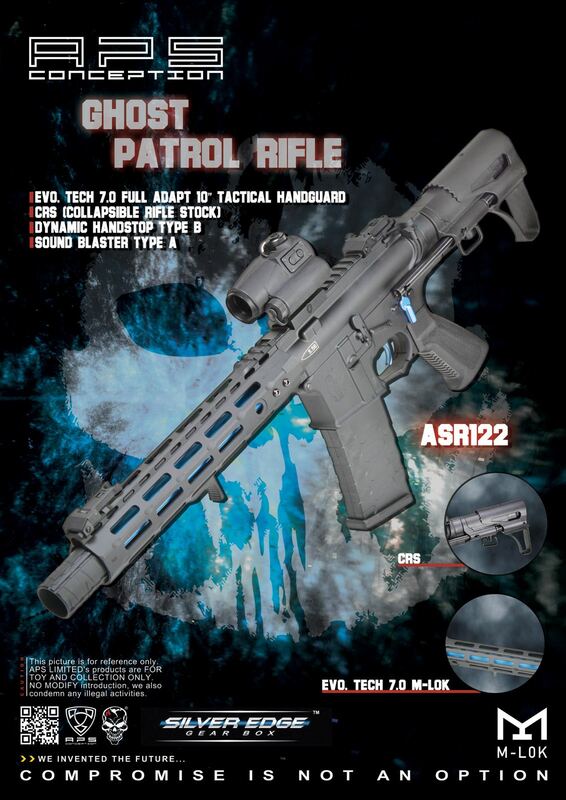 Salient Arms GBB – 2011 Hi-Capa green gas pistols. $180/ea. 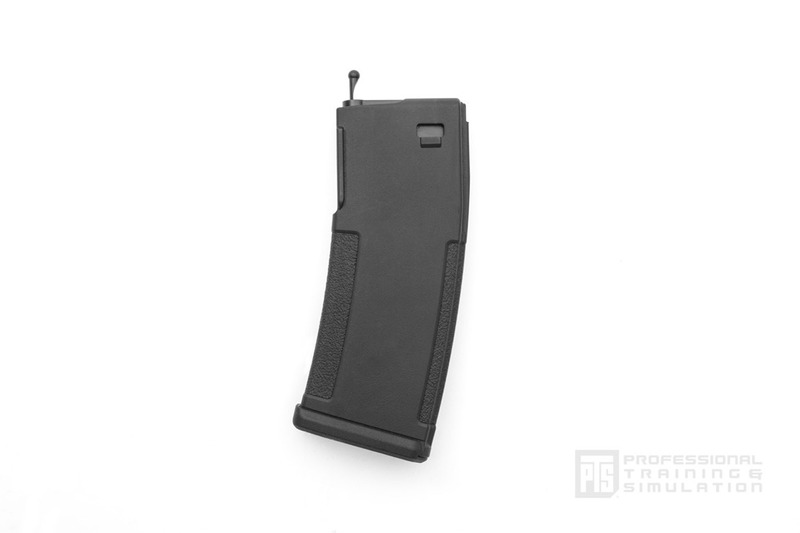 RESTOCKED – new mags, colors, and more. The SAI BLU should be here later this month. 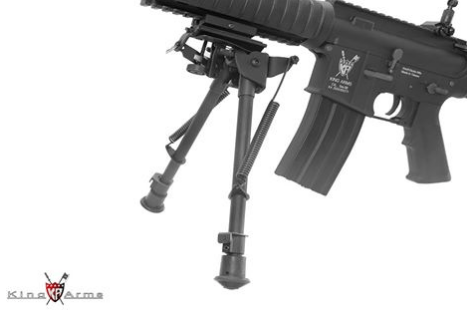 HK416A5 GBBR Now Available. Get Yours Now! 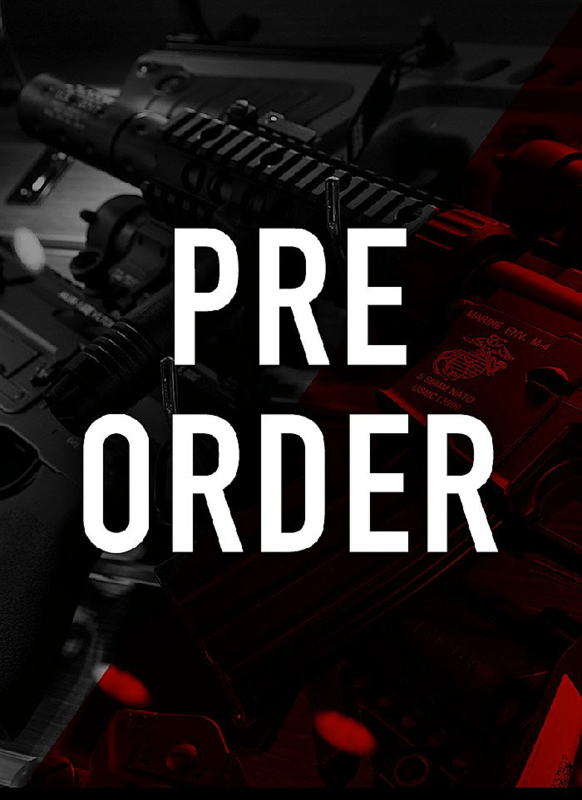 Pre-Order Your Bear Paw Production SVU Today! M40A5 Gas Sniper DX Ver. 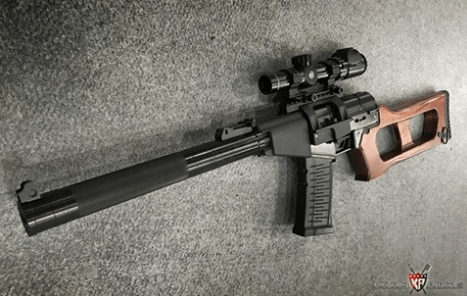 Ots-03 SVU GBB Sniper Review Is Out! 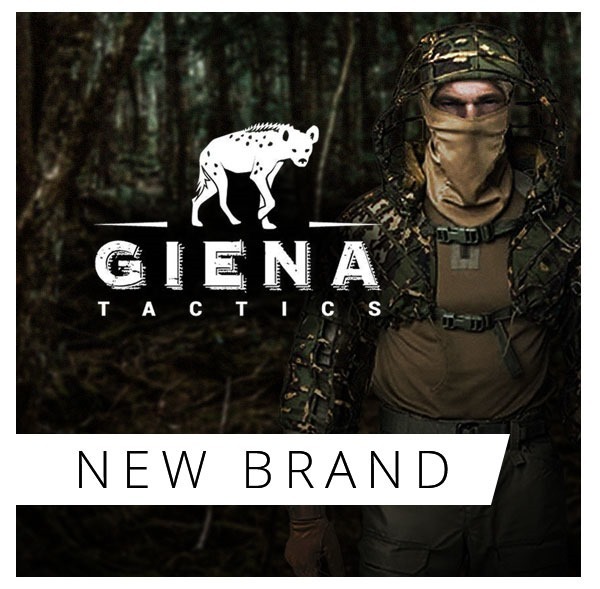 We have added to our offer products from Giena Tactics. Among them, you will find Boonie Hats, pants from Combat and Parka series, shirts and sniper hoods. Products are available in many different colors and with the use of the resistant Ripstop fabrics. 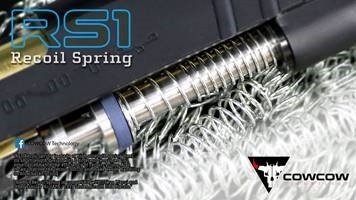 Don’t miss the latest delivery from Airsoft Innovations! 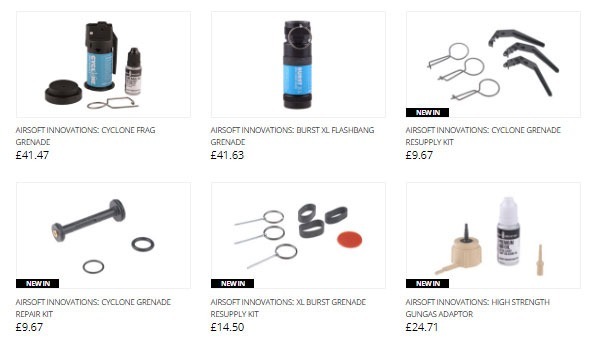 It includes awesome Burst XL Flashbang Grenade and the Cyclone Frag Grenade as well as additional accessories like repair kits or gas grenade oils. New delivery of replicas from EMG! 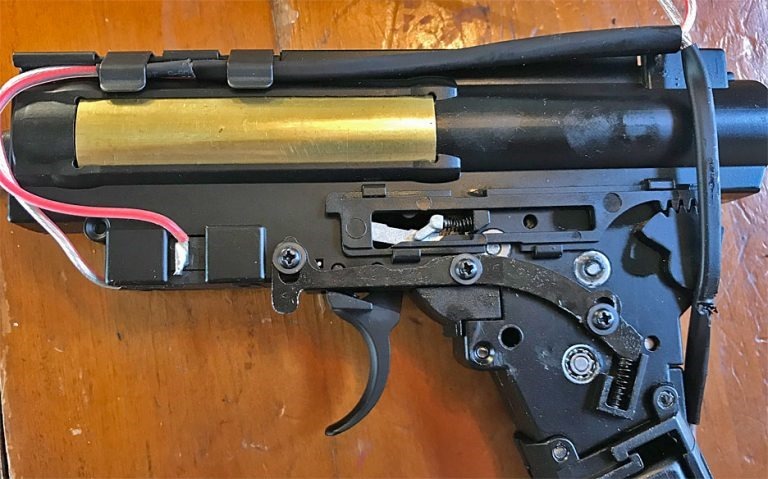 It includes Falkor Defense Blitz and Recce carbines with authentic markings on the receiver and the shape of the magazine well. 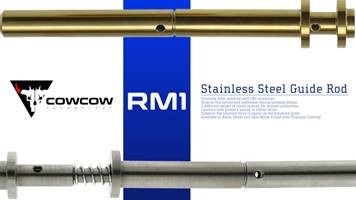 Both models were equipped with the Silver Edge gearbox and are available in Black and Grey colors. Check out the new Li-Po batteries from Electro River! 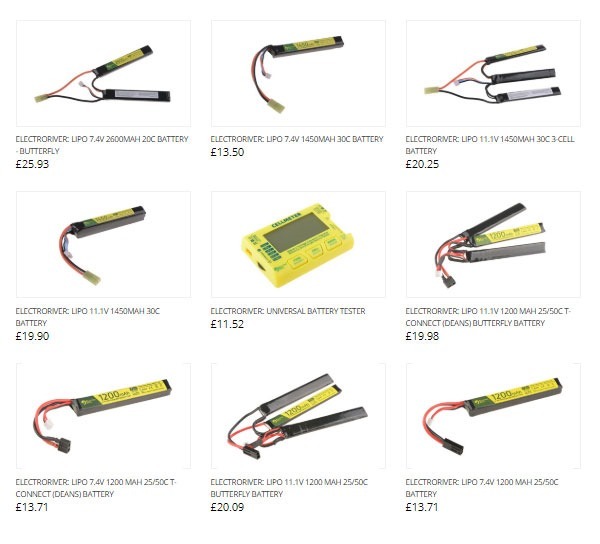 We have restocked our storehouse with useful accessories like chargers, Li-Po alarms, Li-Po Bags and 7.4V or 11.1V batteries. 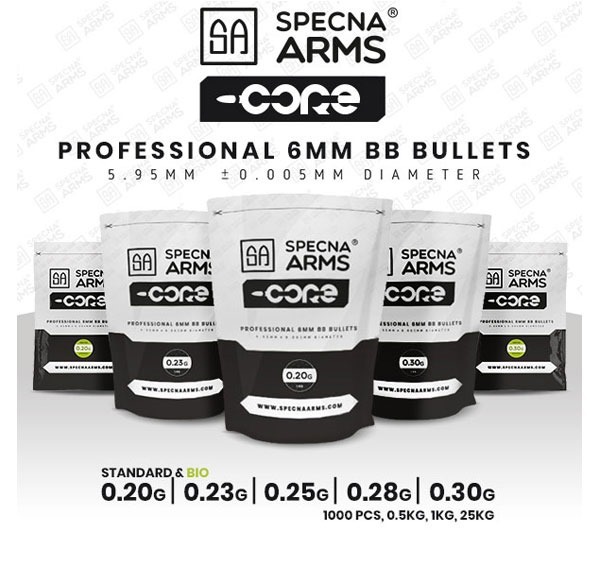 Outstanding Specna Arms CORE ™ BBs now on sale! 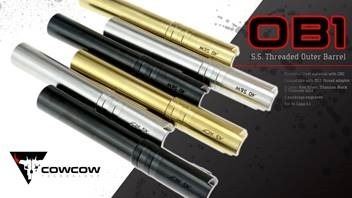 Thanks to their perfect shape, polished surface and meticulous quality control at the factory, Specna Arms CORE ™ BBs are perfect for all types of replicas. The BBs are available in weights from 0.20 to 0.30g in the standard and BIO versions. 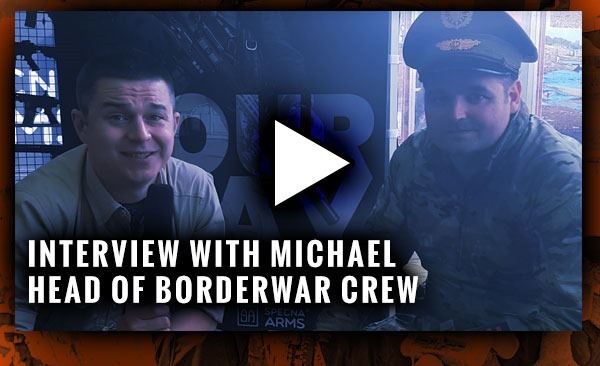 Watch great Gunfire TV interviews with organizers and participants of Borderwar 2018. Rubber parts which needs resilient to perform air-seal effect is likely to become dried and harden under gasification process in GBB, O-ring in piston head absorb most of friction in inner wall of cylinder in AEGs, metal gear set and piston suffer most harsh friction all the time when running in high ROF status. 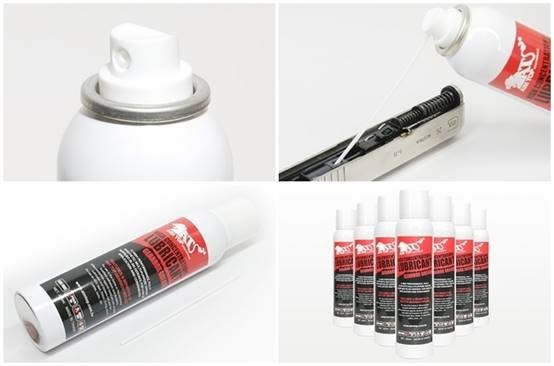 If you will check the motor lubricant grade before changing oil for car routine inspection, you probably will also pay attention to the maintenance lubricant of Airsoft guns. 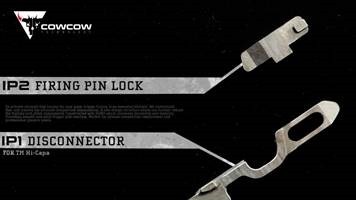 The component is identical to the famous silicon spray produced by Tokyo Marui. 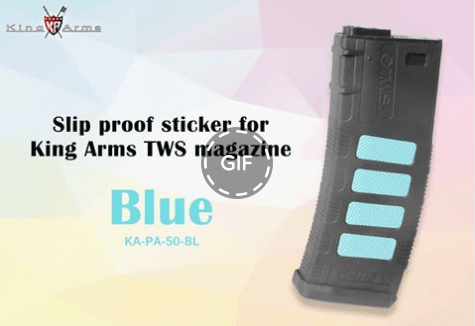 It is the most convenient and basic maintenance product for GBB guns. AIMTOP provides two capacity containers, a standard 60ml,【GS-08】,and 160ml,【GS-08-160ml】. 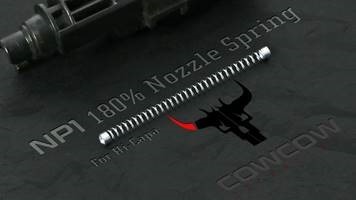 With its thin spray tube, GS-08 can soak the small part even in narrow construction. Finally, the Hooha show was rounded off successfully yesterday, thanks for your support. Upgrade your weapon!! 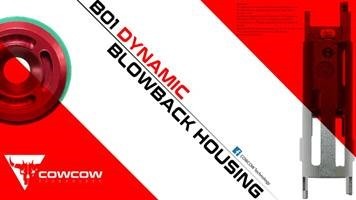 Available now!! Would you get tired of Black, Gray, Green, Dark Earth？Why not try another style, would you? Helikon Cumulus Heavy Fleece Jacket is available now at Military 1st! We had another awesome FilmSim weekend at Tuddenham with a great turnout. We have also begun major improvement works on the site which have kicked off with a general tidy up and will see loads of work taking place across the whole site over the course of the year. This weekend, we have another themed FilmSim open weekend at Eversley based around the drug cartels of South America, with a team of “Ghosts” looking to intercept drug deals. Full details can be found on the Facebook event page. Next weekend we are back at Tuddenham for another skirmish weekend – always popular, please book ahead if you require rental equipment to avoid disappointment. Walk on spaces are still available on the day, but we will most likely be requiring players to pre-book as the numbers swell in the summer.